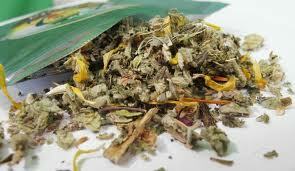 Synthetic marijuana is often sold as incense or potpourri. 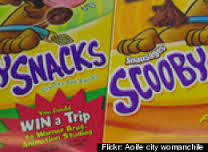 It can be sold in stores, as most are clearly labeled “not for human consumption.” Some common names of synthetic marijuana are: K2, Spice Skunk, K3, Genie, Sence, Smoke, Moon rocks, Arma, Red X Dawn, Sky High and Scooby snacks. What are some of the signs and symptoms of use? One of the challenges of synthetic marijuana and other synthetic drug use is it will not show up on a drug test. Signs of Spice/K2 use are strong clove smell, coffee grinder (the finer the powder the easier to smoke), drug paraphernalia such as pipes and screens. What are the effects of Synthetic Marijuana? Loss of physical control -–a brain-body disconnect resulting in seizures, lack of pain response or uncontrolled/spastic body movements. What is being done to reduce access to these products? Teens perceive legal to mean safe. These products are not safe. In the US Congress, according to the White House ONDCP, The Synthetic Drug Control Act (HR 1254) was approved by the House of Representatives on December 8, 2011. The Department of Justice has issued a “views letter” in support of the Act. There are several pieces of legislation concerning synthetic drugs pending in the Senate, including one that deals specifically with synthetic cannabinoids.